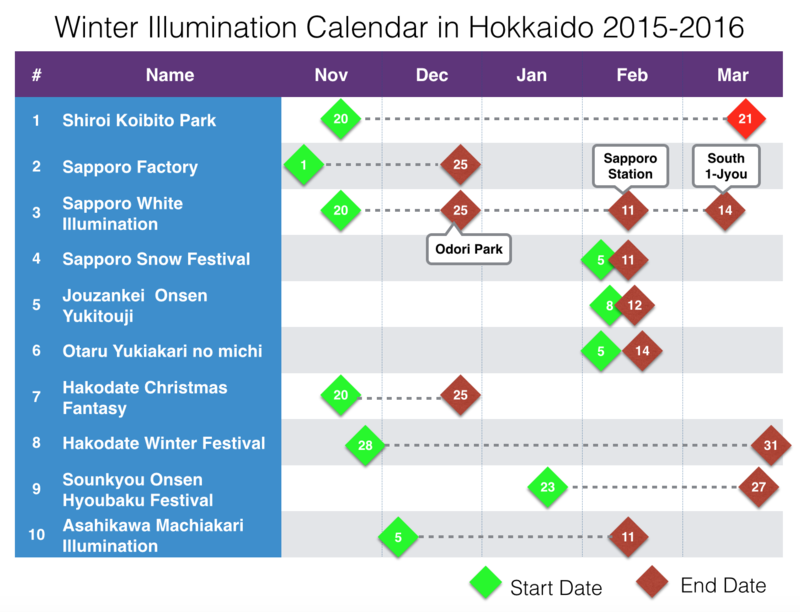 Hokkaido Illumination is special because the cities are covered by snow. Lights of Illumination and candles are reflected from surface of snow. It increases brightness of the area and create romantic atmosphere. More details for each spot. Please see the following.